Like the rest of your house, quality Oriental rugs require regular maintenance to maintain their value and appearance. 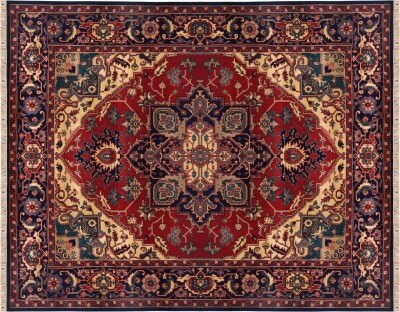 Where can you find the finest service in Gold River and the Sacramento area for cleaning Oriental and custom rugs? If you ask Rytina Fine Cleaners, Allied Custom Upholsterers and leading Sacramento interior designers, they refer you to Artistic Associates for full-service care and restoration of Oriental rugs and custom floor coverings. Why are we confident that Artistic Associates is the first choice in Gold River for cleaning Oriental rugs? Operating a custom-built workshop guarantees that your rug is returned in the best condition possible. Here we have the time to thoroughly and safely examine and test rug fibers and dyes before proceeding with the cleaning procedure. Your investment stays with Artistic Associates. No subcontractors ever handle your precious Oriental rugs, so they come back to you as promised. Artistic Associates already has over forty years of practical experience cleaning custom and Oriental rugs. This includes expertise in cleaning silk, wool and other natural materials. Combine that knowledge of fibers, dyes and craft methods with specific training from the Institute for Inspection, Cleaning and Restoration. Our professional skill set is essential and distinctive in the entire Sacramento area. For a successful rug restoration, you want Artistic Associates. Artistic Associates’ eight-step process is used to clean every custom-made rug that comes to our workshop. Time-tested procedures provide the excellent care that you want for your unique heirloom rugs. We can also save Oriental rugs that other cleaners give up for lost! Experience means we can successfully repair damage from food stains, from beetles, moths and other insects, from water staining, and even remove the scents and smells of pet waste. Artistic Associates also provides custom-fit underlayments and protective fabric coatings, essential tools for preserving your area rug. Artistic Associates is fully bonded and insured. Yet, it is our practical knowledge, certified technicians and private facilities that guarantee the safe return of your Oriental and custom rugs. Artistic Associates is the rug maintenance and restoration service that Gold River trusts! Unsurpassed training, the finest facilities and trustworthy pricing lead to the best experience possible for the cleaning and repair of your Oriental rugs. Discover the benefits of calling Artistic Associates. Clientele in Gold River, California contact us at 916.483.7400.